Join the great brown bears in the American wilderness in Grizzly Gold. Created by Blueprint Gaming, it’s a 5 reel, 1,024 ways to win video slot that comes with multiplier wilds that can double and treble payouts. During the free spins round, those multiplier wilds can combine to boost payouts by up to 27x. Play on all devices from between 10p and £100 per spin. A wintry forest is the setting for Grizzly Gold. On the reels you’ll find lower value A to 9 symbols plus a selection of wild animals. In order of value are the owl and big cat which pay 1, 2.5 or 3.75 times your total bet if you land 3, 4 or 5 on adjacent reels. The moose and howling wolf come next, awarding 2, 3.75 or 5 times your bet. The grizzly bear is the best payer – land 2, 3, 4 or 5 of these and you’ll pocket 1, 3.75, 5 or 6.25 times your bet. Those payouts might not sound especially large. The 1,024 ways to win game engine offers plenty of opportunities to create multiple winning combinations. 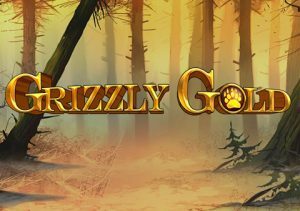 Grizzly Gold comes with a Grizzly Gold Bonus feature – land 3, 4 or 5 of the bonus symbol on the same spin and you’ll receive an award of 2, 10 or 20 times your total bet as well as 8, 15 or 20 free spins. Landing 2 or more bonus symbols on the same spin delivers a re-trigger and even more free spins – there’s no limit to how many free spins you can play with. Also helping your winning chances are the multiplier wilds. These substitute all other symbols bar the scatter and can double or treble the payout. Land more than one of them on the same spin and their values are combined. Land a 2x and 3x wild and the payout receive a 6x boost. The perfect scenario is landing a trio of 3x multiplier wilds which sends the payout rocketing by a massive 27x! By Blueprint Gaming standards, Grizzly Gold is a pretty simple game. They often pack plenty of extras into their video slots but this is rather more straightforward. There’s enough action to keep things interesting though and the medium to high variance gameplay still offers a shot at a big win – up to 10,000 times your stake on every spin/free spin. The highlight here is the Grizzly Gold Bonus feature where the multipliers can quickly work some magic. This virtual to trip to the wilderness isn’t particularly flashy but these big bears can still deliver some Grizzly Gold if fortune is with you. I also recommend you try some of Blueprint Gaming’s other titles with The Goonies (yes, based on the film) and Buffalo Rising MegaWays.